Ranked in the Top on the Major Search Engines (Google, Yahoo, Bing). In Business Longer than any of our competitors (since 2002). The #1 Website for Rent to Own Homes. - AOL/Patch Says HomeRun Homes "Knocks it Out of the Park"
At some time in your life, you've rented a home or an apartment, so you're familiar with a lease agreement. If you've ever bought or sold a house, you're familiar with a purchase offer. The Rent to Own agreement is a hybrid of the two - a lease agreement combined with a purchase offer (sometimes called an "option", that is, the right to buy at an agreed upon price). If you are looking for a rent to own home, we are the place for you! At HomeRun Homes, we offer prospective tenant/buyers a place to find rent to own homes, and a place for prospective sellers to offer their homes as rent to own homes. Rent to Own is a great alternative for people who want to purchase a home right now but may need a little time before buying a home outright. If you want to own your own home but cannot get a loan, you may want to look at Rent to Own or leasing a home with an option to buy (also called a lease purchase) and put your rent money to good use! 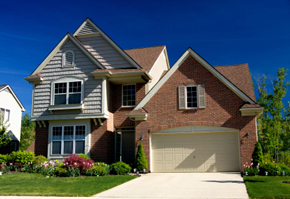 Usually, these types of homes offer rent credits. With a Rent to Own, you basically get to "try" the home before you buy it. You are test driving your potential home of the future. You treat the home as if it is yours. If you feel the home is not for you, at the end of your lease option or lease purchase agreement, you can terminate the contract. However, if you really like the home, you can convert your lease option or lease purchase agreement into a sales contract and buy the home, and take advantage of owner finance or seller finance. This is what makes rent to own such a great option. You can do the reverse if you already have a home - you can find your tenant buyers on our website. As homes For Sale By Owner (FSBO) are everywhere you look, few sellers realize the benefits of rent to own (perfect for sellers with a home that needs repairs, a home with zero, little or negative equity, or a home in a buyer's market). You might have seen a Seller's advertisement for "rent to own, Rent to Own, or rent with an option to buy", and you contact them. Perhaps they tell you that they would like to find a tenant that is interested in owning the house down the line, and you go to see the property. Going into foreclosure or facing a pending foreclosure? Rent to Own just might be for you as either a buyer or a seller. We specialize in the USA and Canada, but our marketplace is open and thriving in The Philippines, Australia, the United Kingdom ("Buy to Let"), New Zealand, Ireland, India and beyond. Rent to Own is becoming a global option for buyers and sellers. In addition to covering the Residential market, we also cover Commercial Real Estate. In fact, a recent article in a local US paper indicated that the Commercial Real Estate has significantly warmed up to creative options (such as Rent to Own). That is where we fit in: HomeRun Homes is a Centralized Marketplace which helps people find a Rent to Own property, sell a Rent to Own property, and offer services nationwide and globally to the thriving Rent to Own market. "It's Still Rent to Own to Me"
So, we ask you; Are you looking for a Rent to Own home? Have you had a foreclosure and need a Rent to Own Home? Do you need a Rental Property? Are you a prospective tenant, prospective seller, or do you provide home services? Do you have Commercial Real Estate and are you stuck with a Commercial Property ? Can't refinance your existing home? Do you already own a home and are looking for a creative way to sell it? The answer is very simple: the place to "Be Seen" is HomeRun Homes, the premier website where Buyers and Sellers come to find people just like you since 2002 ! FOR RENT TO OWN DEALS?